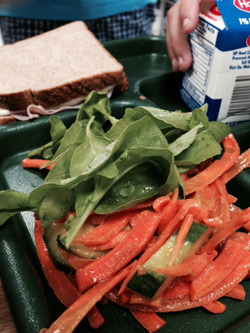 At Learning Prep School, we focus on helping students make nutritious and appetizing choices each day. Many of our foods are made from scratch using simple, healthy ingredients. 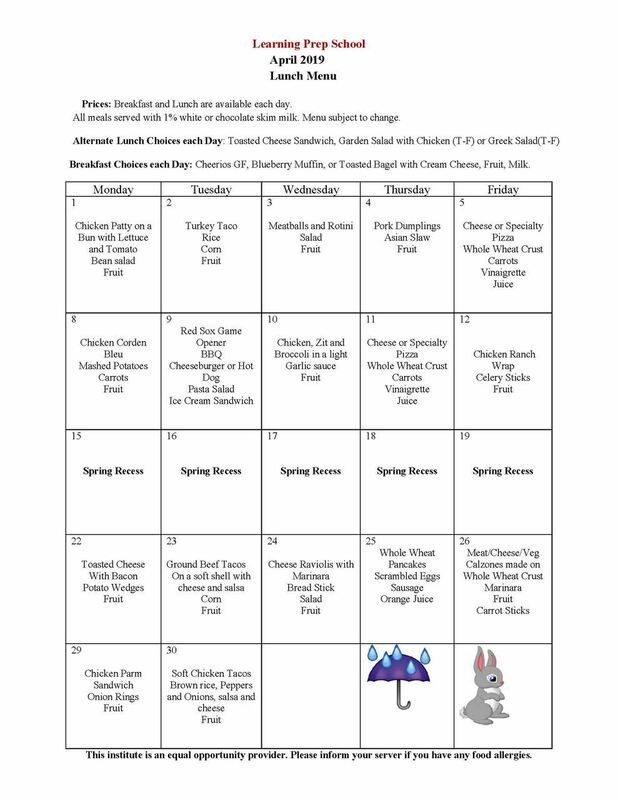 As part of our school’s unique program, high school students are involved in every aspect of lunch production, from preparation to service and clean up. Myriad food topics are covered across the LPS curriculum. From math, science and nutrition information to transition and generalized work habits, culinary arts enhance any subject. Students are continually encouraged to make connections from their work in the kitchen to their work in the world. Our ultimate goal is to prepare students for life by giving them first-hand experiences and skills they can apply to many situations. The LPS kitchen staff is vigilant in allergen awareness. We offer gluten-free options for lunch as noted on the menu, but please note the LPS kitchen is not gluten-free. For the sake of safety, students should not share food, without exception. To file a program complaint of discrimination, complete the USDA Program Discrimination Complaint Form, (AD-3027) found online and at any USDA office, or write a letter addressed to USDA and provide in the letter all of the information requested in the form. To request a copy of the complaint form, call (866) 632-9992.